Top of the morning to ya!! 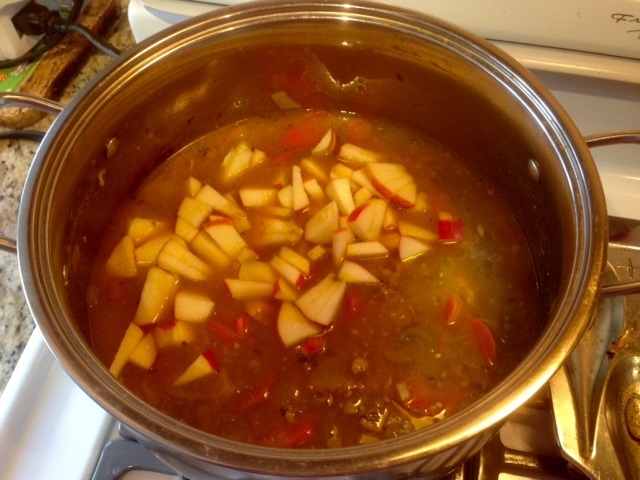 It’s St. Patrick’s Day today and to honour the occasion (and part of my heritage) I decided to create a traditional Irish dish-Mulligatawny Soup. “The name Mulligatawny means ‘pepper water’, and curry is the particular ingredient that gives this incredible soup such a delicious flavor. 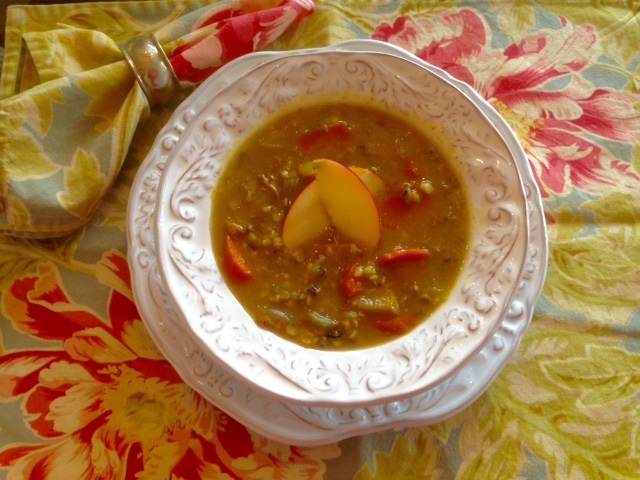 Traditional Mulligatawny Soup contains cream and regular flour. To make the soup creamy but gluten and dairy free I have used my gluten free flour blend and full fat coconut milk. In a large Dutch oven sauté onions, garlic, celery& carrot. Add flour and curry, and cook 5 more minutes. Add chicken broth and rice, stir well, and bring to a boil. Simmer about 1/2 hour. Add apple, diced chicken thighs, salt, pepper, and thyme. Simmer 15-20 minutes, or until rice is done. When serving, add hot coconut milk. This is optional but makes this Irish Mulligatawny Soup just a wee bit richer.